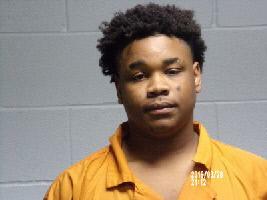 2 Arrested in Traffic Stop/Drug Bust, LIVINGSTON, April 3, 2019 - On March 28, 2019 at approximately 12:30 am Officers with Livingston Police Department conducted a traffic stop on a 2016 Chevrolet Impala in the 900 block of Forest Hollow. 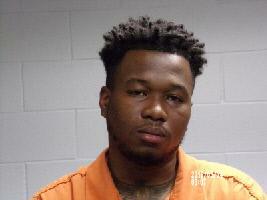 The vehicle was occupied by two individuals who were identified as Travia Levar Davis, Jr., 20, and Jasean Dewayne Johnson, 24, both of Livingston. During the traffic stop, Officers detected a odor of marijuana coming from their vehicle. The investigation continued and Officers were able to locate concealed illegal narcotics in the vehicle that was packaged and ready to sell along with other accessories commonly used to package and sell illegal narcotics. The evidence was recovered from the vehicle and currency was confiscated from both Johnson and Davis. The illegal narcotics recovered from the vehicle was later positively identified as synthetic marijuana and marijuana. The Livingston Police Department has received numerous complaints from citizens in this area and these suspects were named in the selling of illegal narcotics. The Livingston Police Department will continue with the investigation and patrols of this area and more arrests could be made at a later date. Both Johnson and Davis are charged with Delivery of a Controlled Substance which is a first degree felony and Delivery of Marijuana which is a state jail felony.